This is one of the vehicles specifically proposed by sp15 4 years ago, and finally a Swedish crew trainer for heavies. Expect it really soon in the premium store. Gotta love WG. 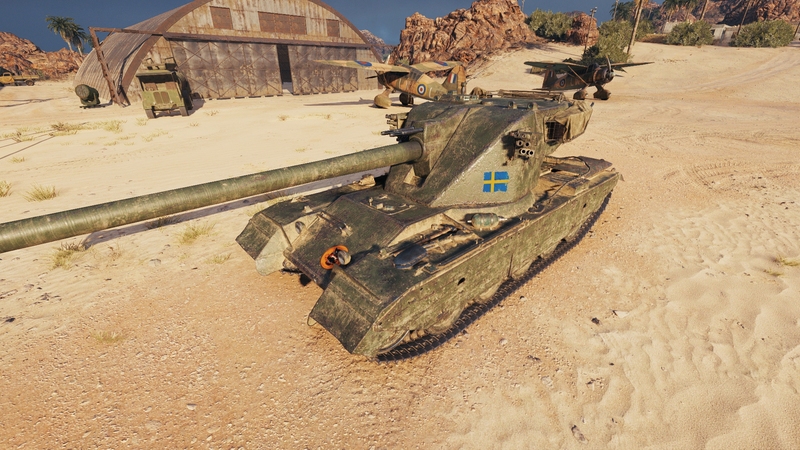 Emil 1951 been in-game for 2 years just incorrectly named the Emil 1 and incorrectly modelled turret. There’s the fact that the 10.5cm lvkan L/67 is a single shot gun while the autoloader version is the TK 105-9. The AV 1790 engine produced 810hp and is on numerous American tanks and also on the Kranvagn under the correct name of SFA F12. And the actual engine should be the SFA 8cyl boxer engine producing 550 hp but WG have it on the “Emil 1” with only 380hp. Now this thing on sale will bring me back to WoT. WG pls.